Politics materialize in buildings lacking maintenance, disrepair infrastructures, and potholes on the road. But what kind of politics, precisely? The volumes in this series put an emphasis on repair and maintenance as an analytical means for studying how we think about and imagine social relations. Politics of Repair is set up to study the social efficacy of fixing and mending as well as the link between the negligence of built forms and the visibility of power. 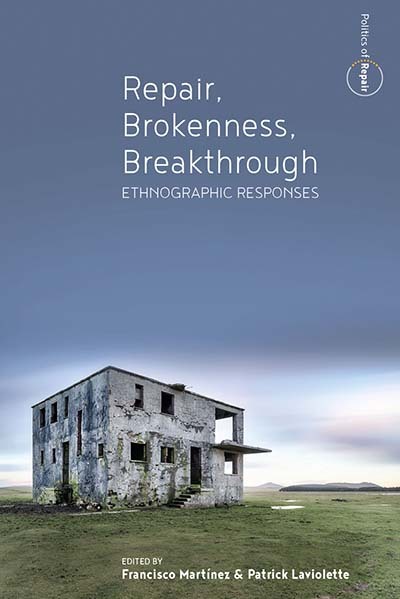 The series welcomes comparative anthropological studies addressing how repair practices and perceptions of brokenness vary culturally and the resulting consequences for how we think about politics. The editors welcome completed manuscripts as well as initial inquiries in the form of well-crafted proposals that fit the general parameters of the series. Final submissions should be sent directly to Berghahn Books. For more information on Berghahn's manuscript submission procedure, please look at the Info for Authors section on this web site.